We need VOLUNTEERS! If you are able to volunteer your time once a week, please let us know! 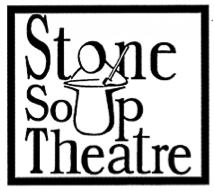 Volunteers will receive a discount for their child’s class tuition. Email the enrichment coordinator. Questions? Scholarships? Want to Volunteer? Scholarship request form due April 1st. Formulario para una beca en la escuela Viewlands due April 1st. Kids will have the opportunity to learn to play their favorite songs and music on electric keyboards. Radio hits, movie and television themes are made so easy, that our participants will be playing them after the very first class! The club is a combination of keyboard piano lessons and a music learning workshop, which uses a clever visual method to teach the basics of music reading and piano playing. We’ve developed lots of learning games and activities designed to teach kids basic music reading skills and playing techniques, in ways that are fun, engaging, and stimulating. We want our students to stay motivated and continue to want to learn to play music, whether they like Taylor Swift, Bruno Mars or Beethoven. We have all the music they want. We have music from Stars Wars, Jurassic World, Moana, and lots more. Each participant has his/her own keyboard supplied during the class, along with headphones, and books and other materials are included. Each week, students learn basic cooking skills while making dinner for their family! Students will create delicious dishes focusing on the importance of local ingredients, scratch cooking, and natural preservatives while practicing knife skills and kitchen safety. We use the perspective of food, cooking, and nutrition to learn about geography, math skills, science, and culture, while helping kids develop a lifelong love of fresh ingredients. Our hands-on cooking classes are fun, delicious, and healthy and are a wonderful way to develop enthusiasm for the kitchen classroom. Smart with Art has all new multi medium experiences every session, with both two and three-dimensional art. This session experiment with materials such as clay, watercolors, metal tooling, acrylic, chalk/oil pastels and more! Each lesson explores principles and elements of design, art history, and culture, providing each child with the knowledge and skills they need to unleash his or her creativity. Make the games you want to play! Students will bring their own ideas for the games and animations they wish to create, and our teachers will guide them towards their goals. A variety of challenges will supplement each coder’s own projects, which they’ll get to show in a presentation at the end of the class! Beginners will spend the first few lessons learning the basics of coding and how to use Scratch before diving into their own projects. Our classic Creative Coding experience is designed to be repeated as many times as desired, as each student continues to hone their skills through the individual assistance of our awesome instructors! Get them started early! This class for 1st and 2nd graders features a mixture of creative play and guided activities with tablets to get your children exposed to basic coding concepts. Students will learn about programming, then practice it for themselves in a variety of fun and creative exercises intended to develop computational thinking. At the end of the class, every student will get to present something they worked on for their friends, family, and classmates. Coders are welcome to repeat this course, receiving greater challenges each time until they are ready for our Core classes. 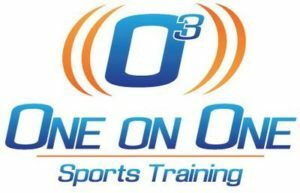 Join One on One for After School Ultimate. Skilled and experienced instructors will conduct an exciting and progressive session each week right after school. We will learn age-appropriate fundamentals, rules and strategies of this fast-action game that is growing by the day! Each week, we will have fun scrimmaging while focusing on teamwork, sportsmanship, and FUN! Power up your engineering skills with tens of thousands of LEGO® parts! Apply real-world concepts in physics, engineering, and architecture through engineer-designed projects such as Bulldozers, Hovercrafts, Hot Air Balloons, and the GreatWall of China. Design and build as never before, and explore your craziest ideas in a supportive environment. Coach Gray teaches V-CATS as an afterschool program, it is free and open to all students. 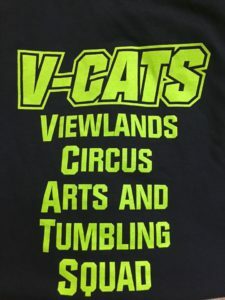 V-CATS is a gymnastic type program where student’s learn to juggle, jump rope, sommersault, back hand springs, unicycling, cartwheels, globe walking and hand walking. V-CATS creates a comfortable environment for children to learn new athletic skills, build strength and self esteem. Students may join at anytime with parent/guardian permission. There is a spring showcase of their new skills! Learn how to create characters and story-lines using nothing but your body and imagination. We will teach you to trust making it up as you go along, while creating scenes and characters that express a wide range of emotions. Concludes with a performance of improv games for family and friends. 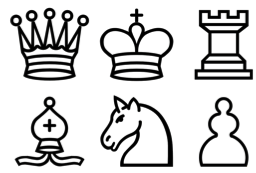 Chess is a wonderful game for young minds and teaches a wide variety of social, visual and thinking skills. In chess, children have a world which THEY control, where they can make choices, and where they learn the consequences of their choices. In chess club we use a dynamic approach to help young kids learn the game of chess at their level and at their speed. In this club we use both our hands and our handy machines to make oodles of fun projects that may include emojis, pajamas, aprons, messenger bags, zipper totes, infinity scarves, monsters and much, much, more. On the first day of class we survey our young sewists to come up with projects that are both fun and challenging for their experience level and interest.